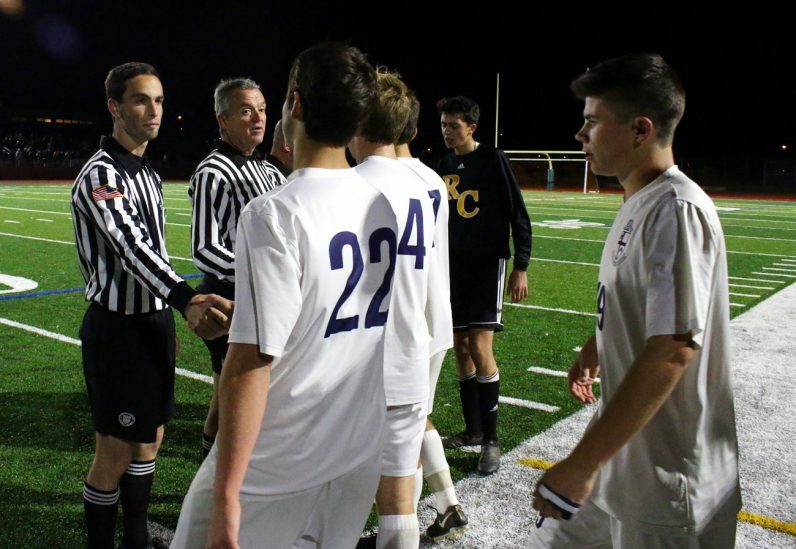 Giovanni Randazzo (left, no. 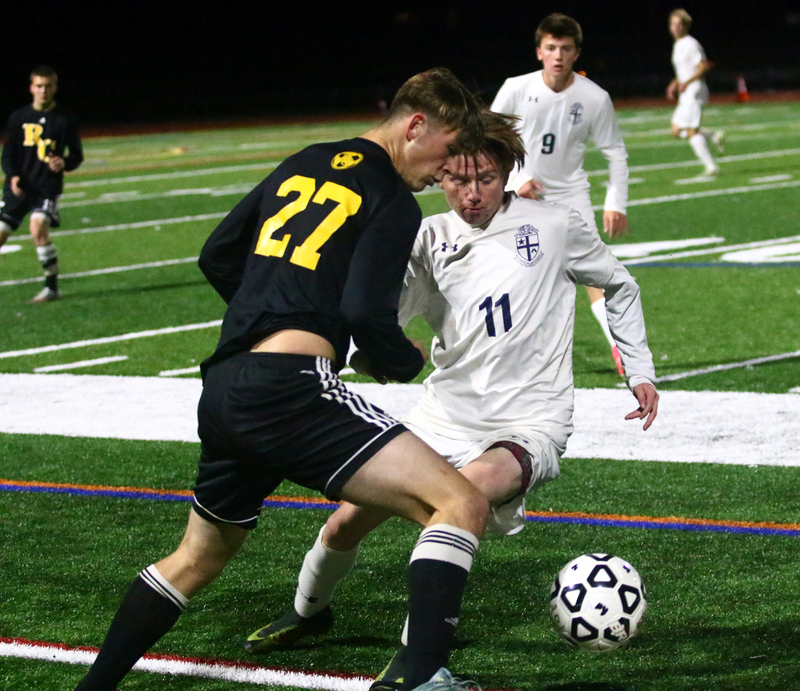 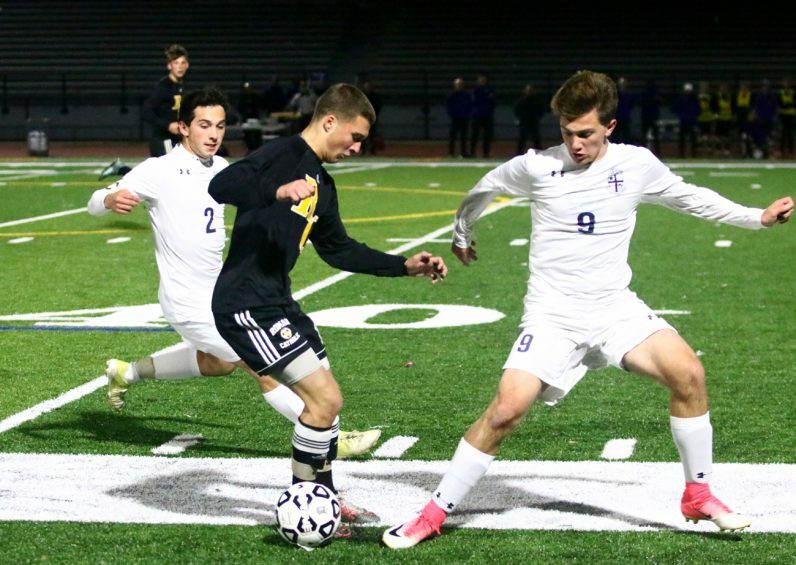 7) of La Salle attempts to take the ball from Roman Catholic’s Kieran Boyle. 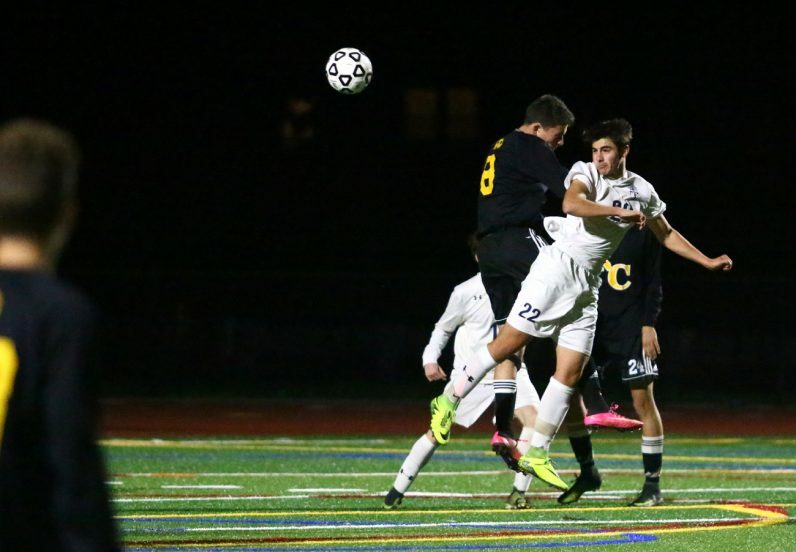 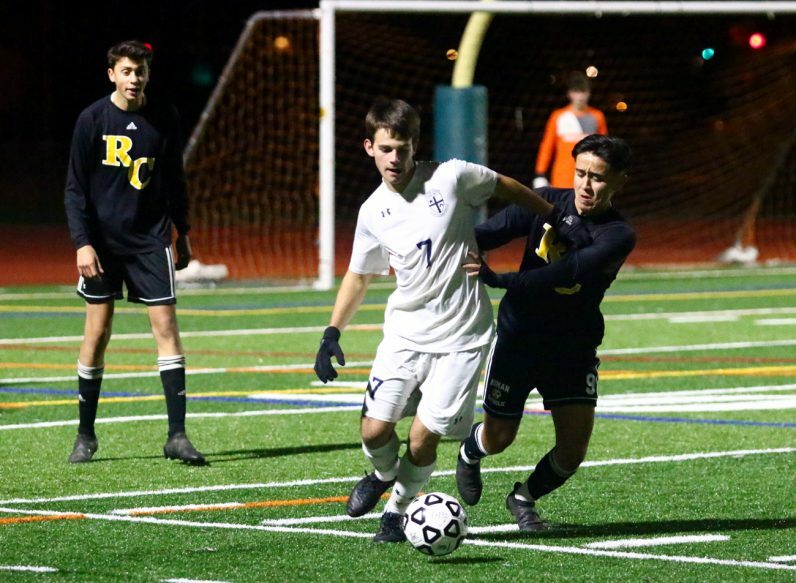 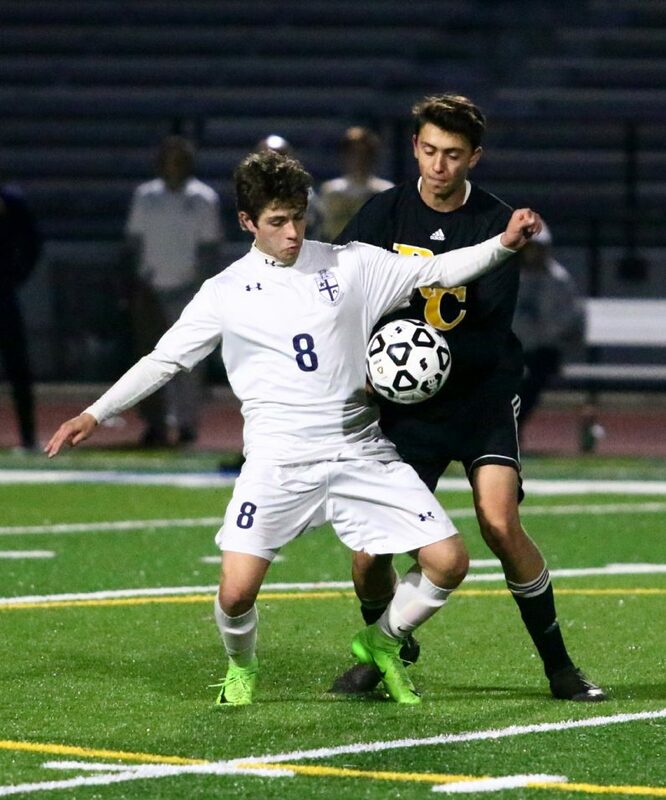 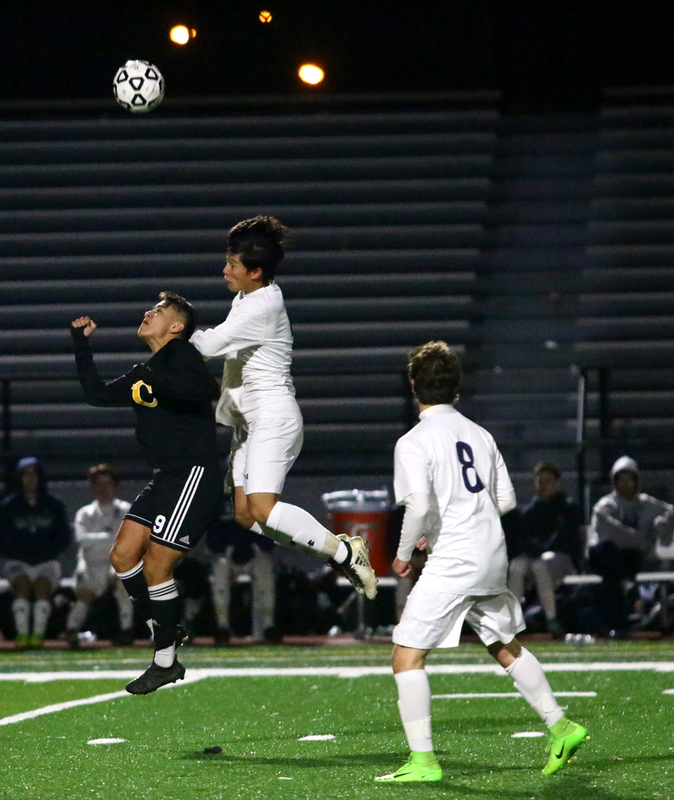 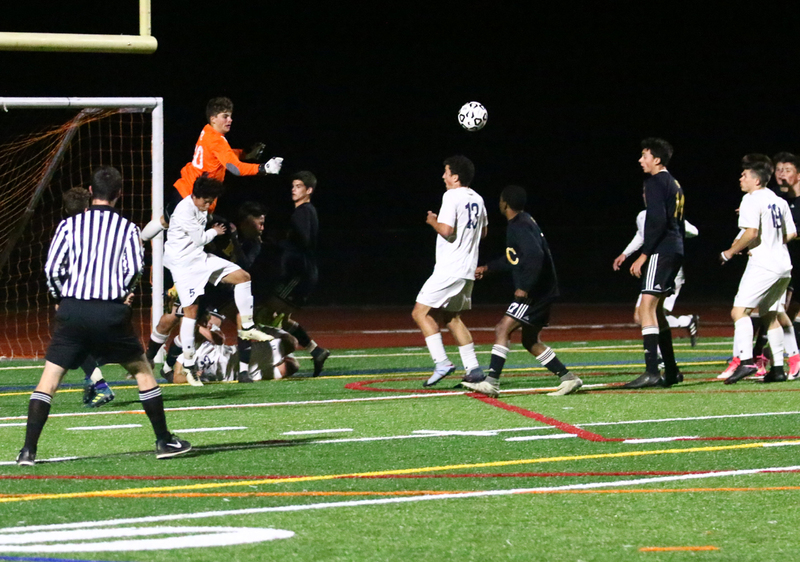 Giovanni Randazzo and Sebastian Gonzalez (right) battle for the ball. 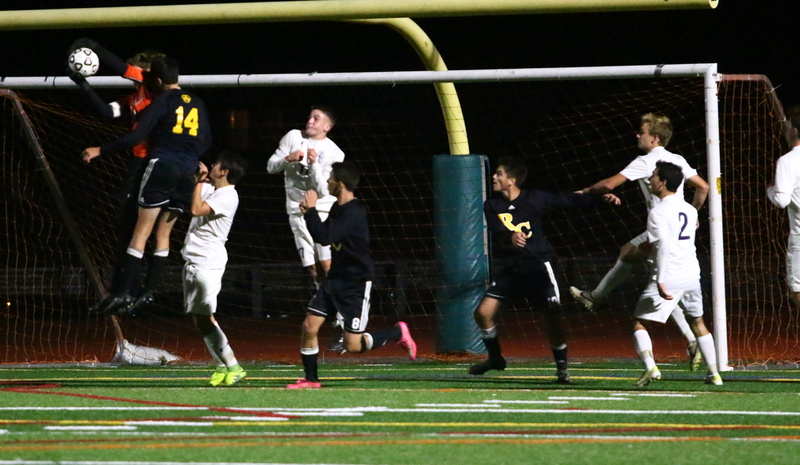 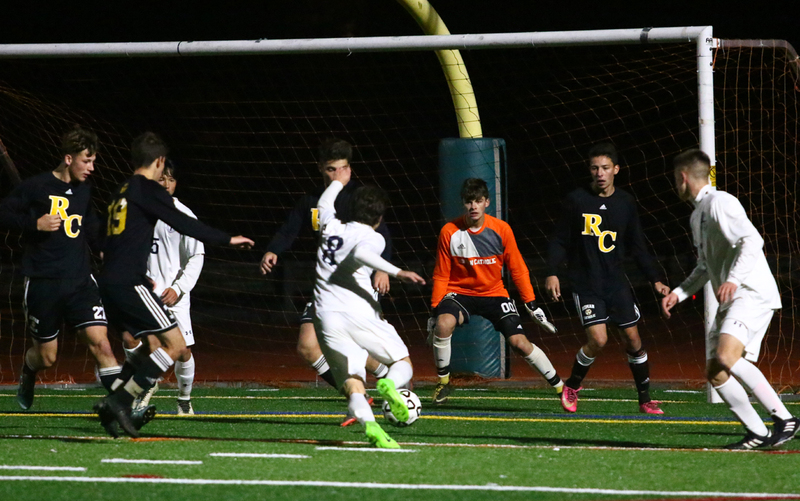 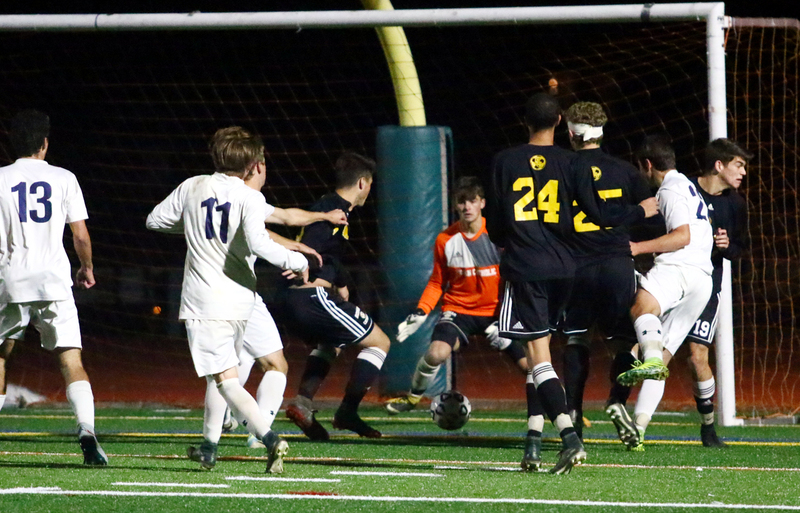 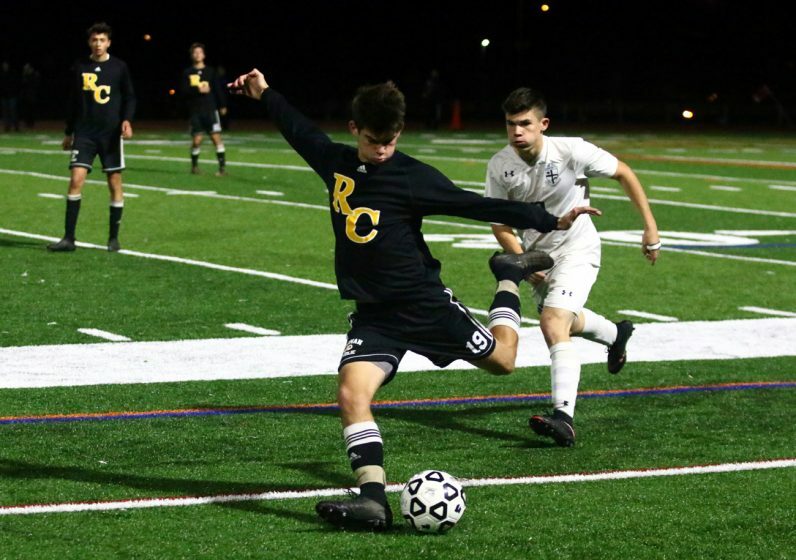 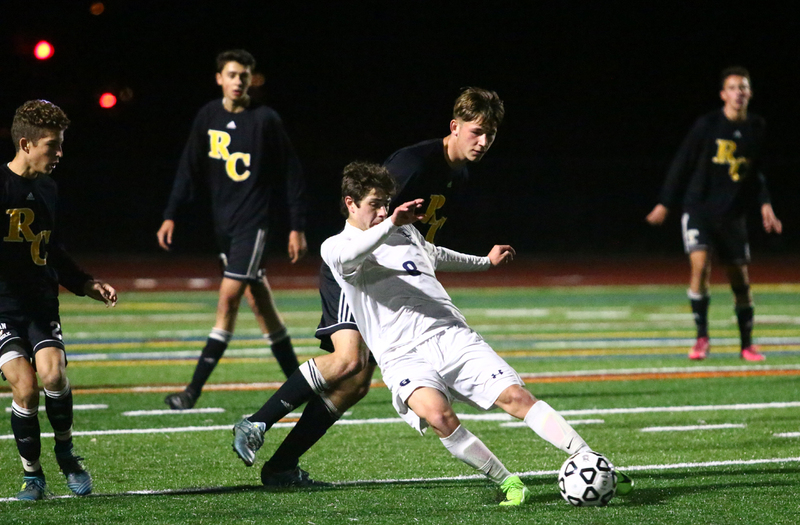 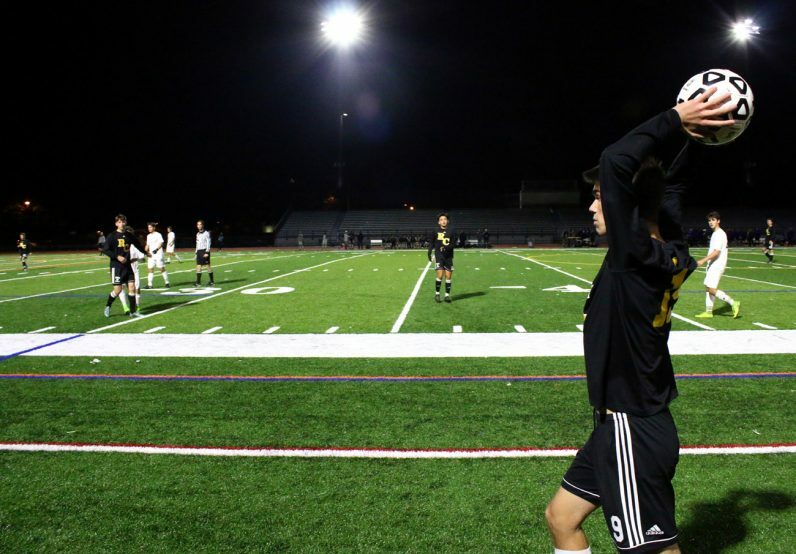 Roman’s Jared Fielding (center) battles to keep control of the ball. 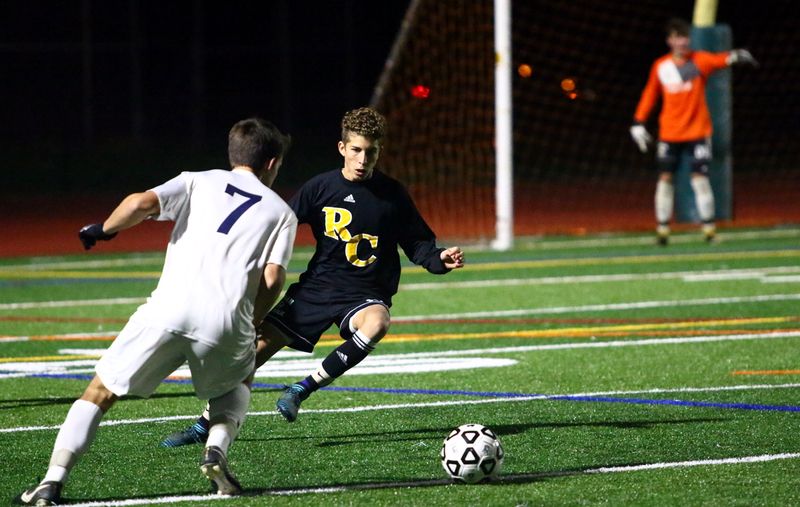 David Steinbach heads the ball. 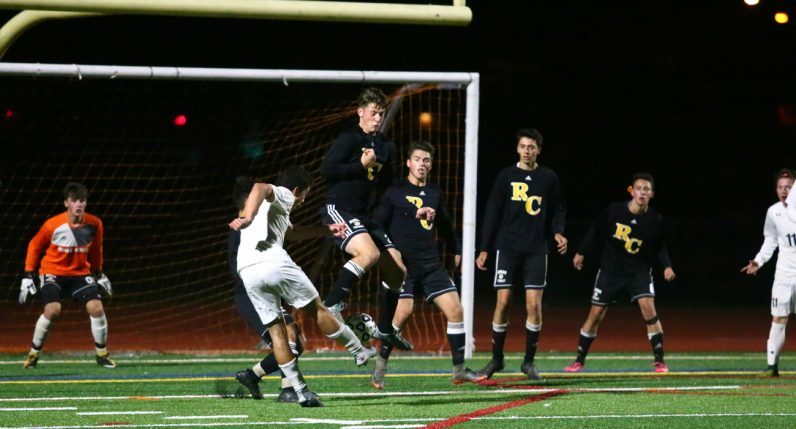 Jacob Mittman feels the pressure of several Roman players approaching. 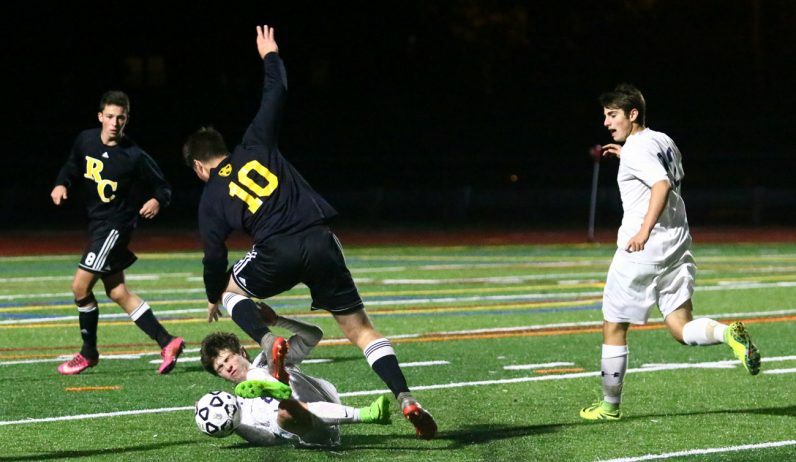 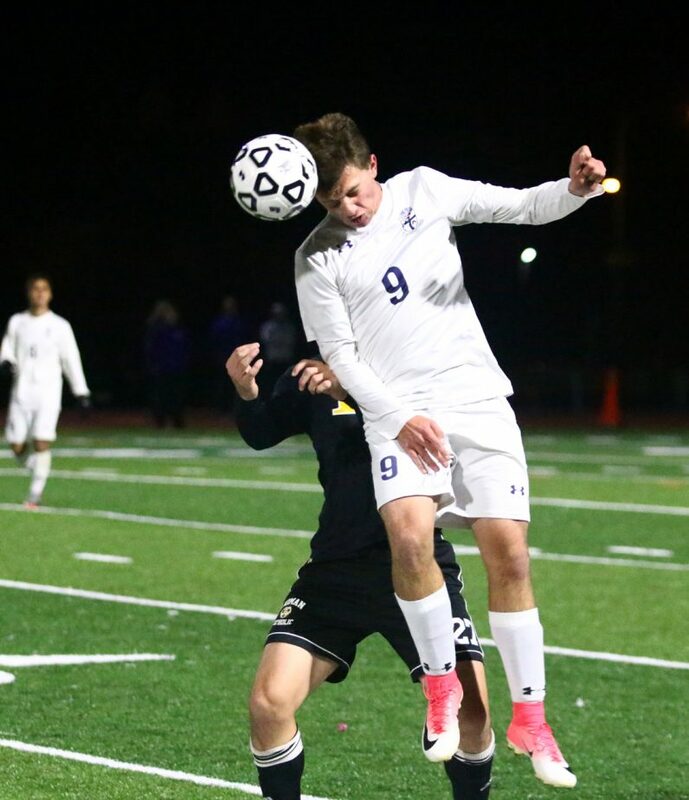 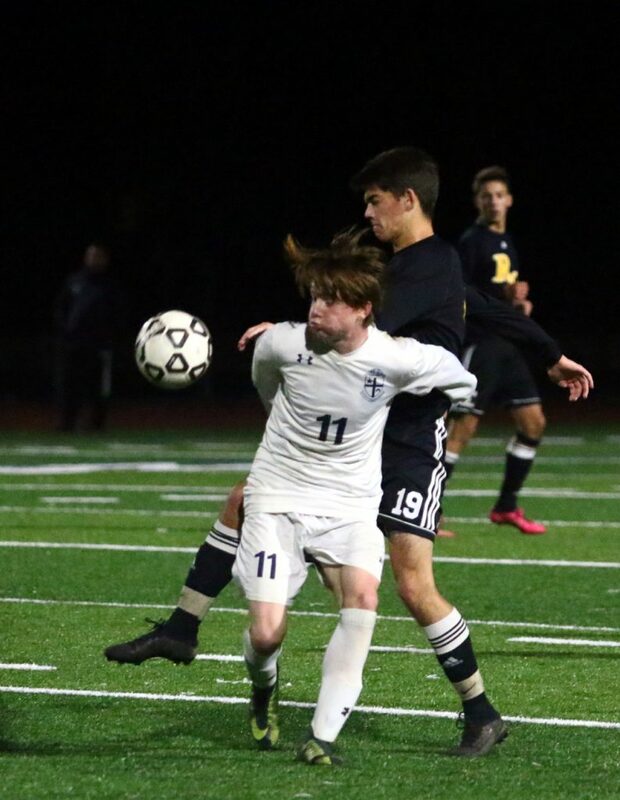 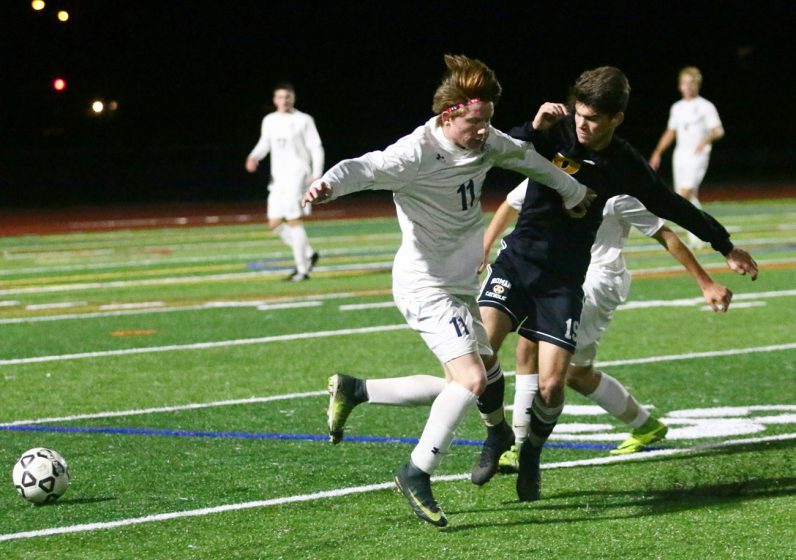 Jacob Mittman uses his body to control the ball. 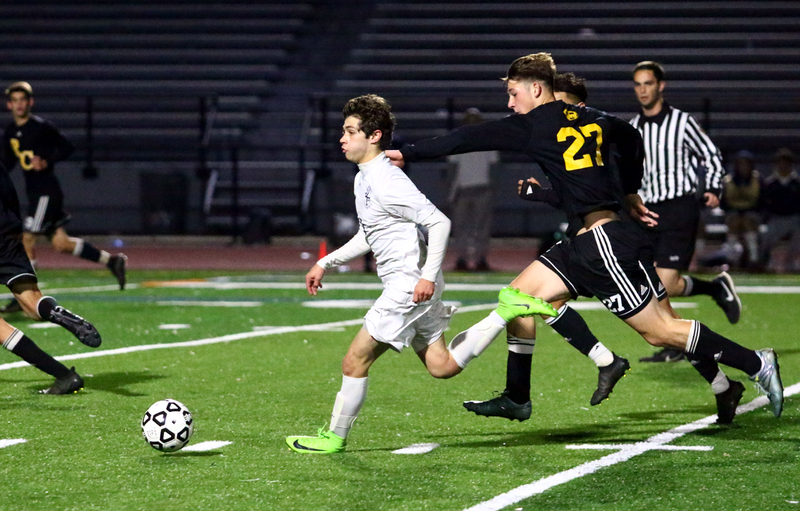 Jacob Mittman hustles to keep the ball. 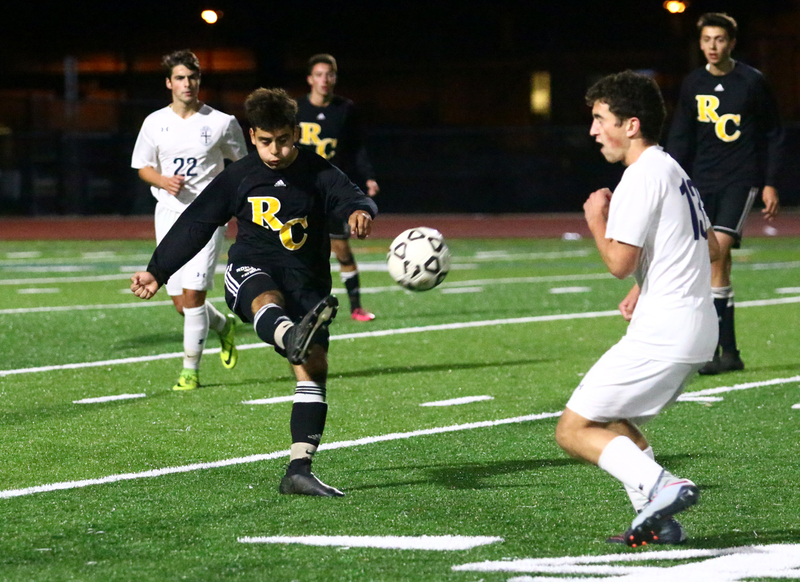 Nate Lindner goes for distance on his kick. 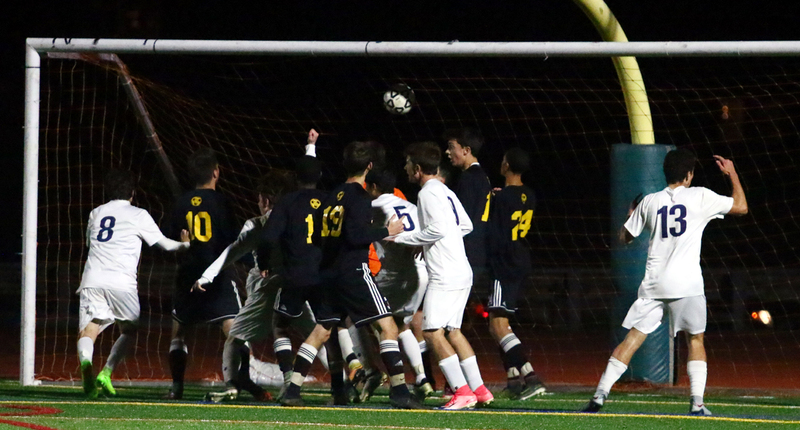 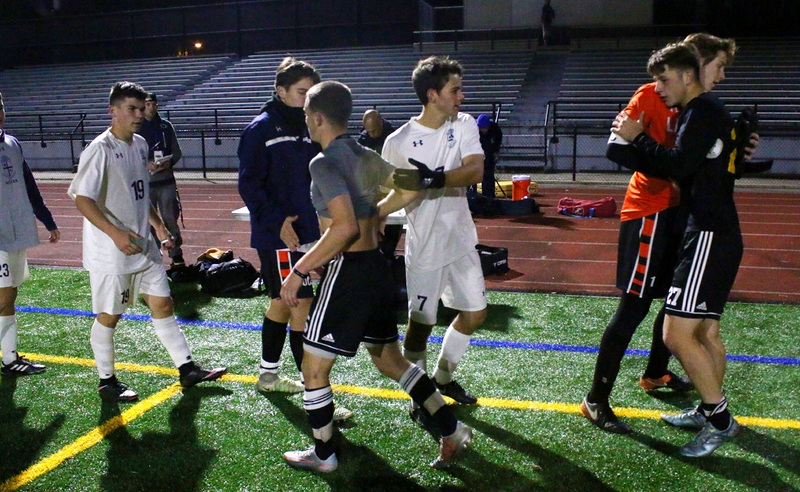 The Explorers celebrate the lone goal of the game. Christopher Lenge and Nate Lindner battle for the ball. La Salle’s Jacob Mittman goes down as he collides with Roman’s Kieran Donnelly. Nate Lindner throws the ball in after a foul by La Salle. Young men from both teams thank the referees after the game. Third-year La Salle coach Tom McCaffrey leads his team in prayer before presenting them with the Philadelphia Catholic League championship plaque. 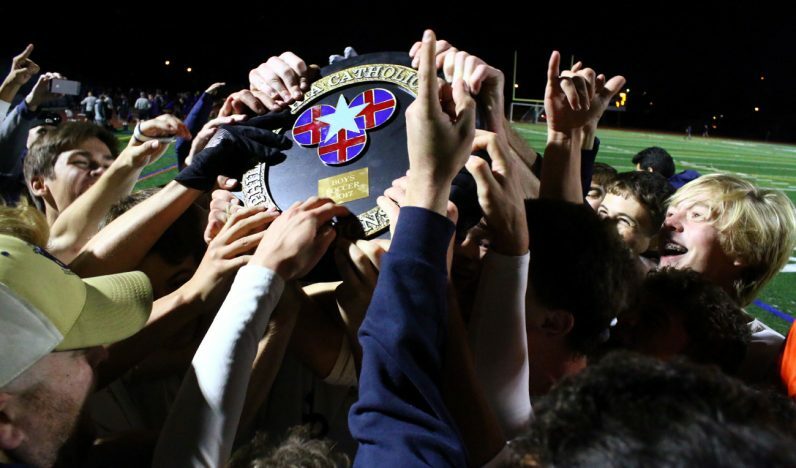 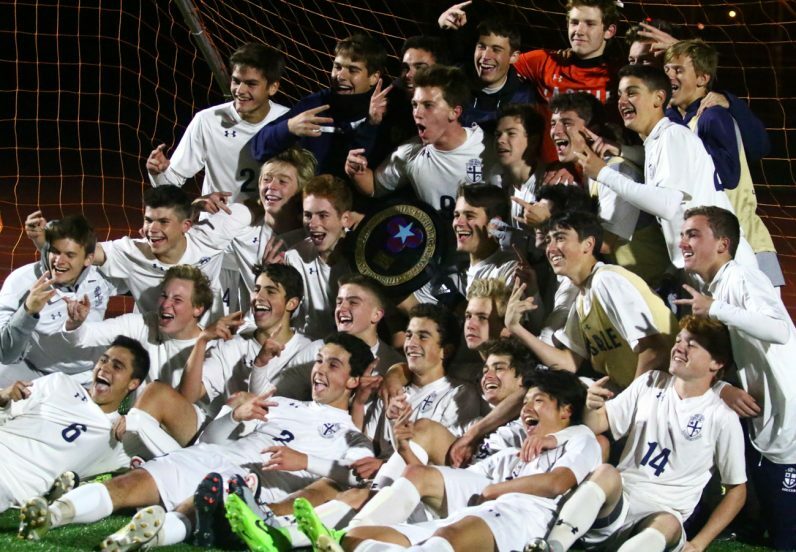 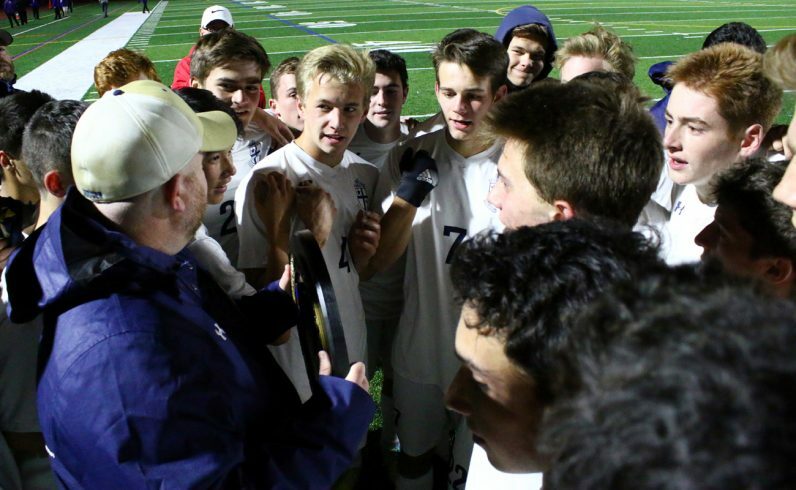 The Explorers celebrate the PCL boys soccer championship.